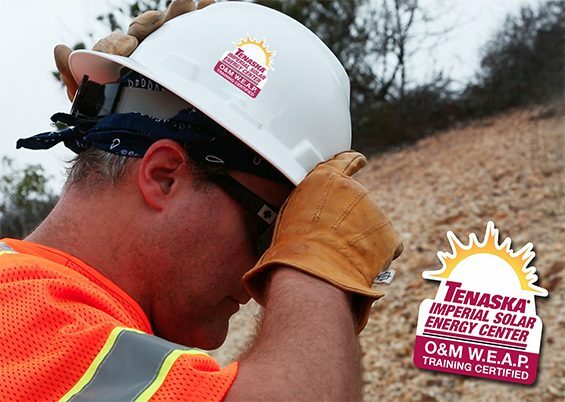 Effectively training a project’s crews about environmental awareness before they start working on site is an essential foundation of a successful compliance program. Our compliance team provides customized environmental awareness training to construction workers to ensure construction and operations and maintenance (O&M) proceed in a streamlined and compliant manner. Our compliance team is tailored to project type, location, and duration, and possesses knowledge of potential site issues and area resources. Appropriate resource experts provide on-site training programs that include videos and printed resource guides, training materials and handouts, attendance and completion certification, and environmental audits. Our training programs work hand in hand with regular onsite safety trainings and can be customized to cover safety issues such as hazardous materials handling and spill response, fire safety, and other procedures. To help achieve state renewable energy targets and increase electricity reliability, BayWa Renewable Energy proposed to construct and operate a 20-megawatt solar farm in southern San Diego County. High-Speed Rail is California’s first high-speed transportation project and will include 24 stations, running from Sacramento to San Diego at speeds of 200+ miles per hour.